When it comes to design icon’s you don’t find more synonymous with furniture and architecture than . Almost every city in the uk has some art deco architecture (not the newer ones) and you cant go in any big house without seeing some art deco furniture or art deco inspired design stuff. 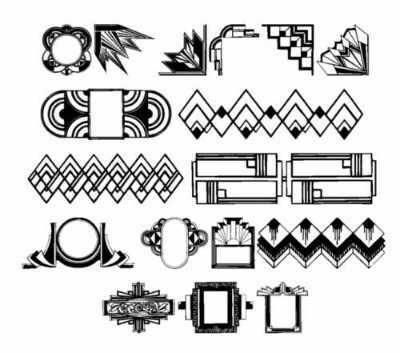 Considered by many to be the ultimate in combination of design and graphical techniques, Art deco is a phrase which covers many areas of design. The grand combination of Cubism, Futurism and around 10 other concepts (depending on who you ask), Art Deco is the sum of the art movement within the 1920s through 1940′s that has inspired countless creative concepts in the past centurys. Art Deco items populate the world as we know it, with art deco furniture, art deco architecture and art deco paintings commonplace. We may not realise but art deco has affected our lives to this day with buildings, graphics and even cars being influenced by the efforts of the art community with Art deco. Today we have added an art deco section to Collectables now so have a look now!